A new database includes complete sequences of protein-coding DNA from 60,706 individuals. The ability to sequence a person’s entire genome has led many researchers to hunt for the genetic causes of certain diseases. But without a larger set of genomes to compare mutations against, putting these variations into context is difficult. An international group of researchers has banked the full exomes of 60,706 individuals in a database called the Exome Aggregation Consortium (ExAC). The team’s analaysis, posted last month (October 30) on the preprint server bioRxiv, was presented at the Genome Science 2015 conference in Birmingham, U.K. (September 7). Led by Daniel MacArthur from the Broad Institute of MIT and Harvard, the research team collected exomes from labs around the world for its dataset. “The resulting catalogue of human genetic diversity has unprecedented resolution,” the authors wrote in their preprint. Many of the variants observed in the dataset occurred only once. “This is one of the most useful resources ever created for medical testing for genetic disorders,” Heidi Rehm, a clinical lab director at Harvard Medical School, told Science News. Among other things, the team found 3,230 genes that are highly conserved across exomes, indicating likely involvement in critical cellular functions. Of these, 2,557 are not associated with diseases. The authors hypothesized that these genes, if mutated, either lead to embryonic death—before a problem can be diagnosed—or cause rare diseases that have not yet been genetically characterized. “We should soon be able to say, with high precision: If you have a mutation at this site, it will kill you. And we’ll be able to say that without ever seeing a person with that mutation,” MacArthur said during his Genome Science talk, according to The Atlantic. This is not the complete set of essential genes in the human body, David Goldstein, a geneticist at Columbia University in New York City, pointed out to Nature. Only by studying more exomes will researchers be able to refine that number, he noted. Exome Aggregation Consortium, Monkol Lek, Konrad Karczewski, Eric Minikel, Kaitlin Samocha, et al. Large-scale reference data sets of human genetic variation are critical for the medical and functional interpretation of DNA sequence changes. Here we describe the aggregation and analysis of high-quality exome (protein-coding region) sequence data for 60,706 individuals of diverse ethnicities. The resulting catalogue of human genetic diversity has unprecedented resolution, with an average of one variant every eight bases of coding sequence and the presence of widespread mutational recurrence. The deep catalogue of variation provided by the Exome Aggregation Consortium (ExAC) can be used to calculate objective metrics of pathogenicity for sequence variants, and to identify genes subject to strong selection against various classes of mutation; we identify 3,230 genes with near-complete depletion of truncating variants, 79% of which have no currently established human disease phenotype. Finally, we show that these data can be used for the efficient filtering of candidate disease-causing variants, and for the discovery of human knockout variants in protein-coding genes. Over the last five years, the widespread availability of high-throughput DNA sequencing technologies has permitted the sequencing of the whole genomes or exomes (the 18 protein-coding regions of genomes) of over half a million humans. In theory, these data represent a powerful source of information about the global patterns of human genetic variation, but in practice, are difficult to access for practical, logistical, and ethical reasons; in addition, the inconsistent processing complicates variant-calling pipelines used by different groups. 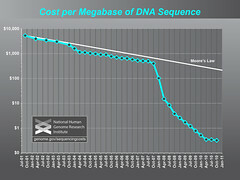 Current publicly available datasets of human DNA sequence variation contain only a small fraction of all sequenced samples: the Exome Variant Server, created as part of the NHLBI Exome Sequencing Project (ESP)1, contains frequency information spanning 6,503 exomes; and the 1000 Genomes (1000G) Project, which includes individual-level genotype data from whole-genome and exome sequence data for 2,504 individuals2. Databases of genetic variation are important for our understanding of human population history and biology1–5, but also provide critical resources for the clinical interpretation of variants observed in patients suffering from rare Mendelian diseases6,7. The filtering of candidate variants by frequency in unselected individuals is a key step in any pipeline for the discovery of causal variants in Mendelian disease patients, and the efficacy of such filtering depends on both the size and the ancestral diversity of the available reference data. Here, we describe the joint variant calling and analysis of high-quality variant calls across 60,706 human exomes, assembled by the Exome Aggregation Consortium (ExAC; exac.broadinstitute.org). This call set exceeds previously available exome-wide variant databases by nearly an order of magnitude, providing unprecedented resolution for the analysis of very low-frequency genetic variants. We demonstrate the application of this data set to the analysis of patterns of genetic variation including the discovery of widespread mutational recurrence, the inference of gene-level constraint against 10 truncating variation, the clinical interpretation of variation in Mendelian disease genes, and the discovery of human “knockout” variants in protein-coding genes. Deleterious variants are expected to have lower allele frequencies than neutral ones, due to negative selection. This theoretical property has been demonstrated previously in human population sequencing data18,19 and here (Figure 1d, Figure 1e). This allows inference of the degree of natural selection against specific functional classes of variation: however, mutational recurrence as described above indicates that allele frequencies observed in ExAC-scale samples are also skewed by mutation rate, with 10 more mutable sites less likely to be singletons (Figure 2c and Extended Data Figure 4d). Mutation rate is in turn non-uniformly distributed across functional classes – for instance, stop lost mutations can never occur at CpG dinucleotides (Extended Data Figure 4e). We corrected for mutation rates (Supplementary Information) by creating a mutability-adjusted proportion singleton (MAPS) metric. This metric reflects (as expected) strong selection against predicted PTVs, as well as missense variants predicted by conservation-based methods to be deleterious (Figure 2e). The deep ascertainment of rare variation in ExAC also allows us to infer the extent of 19 selection against variant categories on a per-gene basis by examining the proportion of 20 variation that is missing compared to expectations under random mutation. Conceptually similar approaches have been applied to smaller exome datasets13,20 but have been underpowered, particularly for the analysis of depletion of PTVs. We compared the observed number of rare (MAF <0.1%) variants per gene to an expected number derived from a selection neutral, sequence-context based mutational model13. The model performs extremely well in predicting the number of synonymous variants, which should be under minimal purifying selection, per gene (r = 0.98; Extended Data Figure 5). Critically, we note that LoF-intolerant genes include virtually all known severe haploinsufficient human disease genes (Figure 3b), but that 79% of LoF-intolerant genes have not yet been assigned a human disease phenotype despite the clear evidence for extreme selective constraint (Supplementary Information 4.11). These likely represent either undiscovered severe dominant disease genes, or genes in which loss of a single copy results in embryonic lethality. The most highly constrained missense (top 25% missense Z scores) and PTV (pLI ≥0.9) genes show higher expression levels and broader tissue expression than the least constrained genes24 (Figure 3c). These most highly constrained genes are also depleted for eQTLs (p < 10-9 for missense and PTV; Figure 3d), yet are enriched within genome-wide significant trait-associated loci (χ2 p < 10-14, Figure 3e). Intuitively, genes intolerant of PTV variation are dosage sensitive: natural selection does not tolerate a 50% deficit in expression due to the loss of single allele. It is therefore unsurprising that these genes are also depleted of common genetic variants that have a large enough effect on expression to be detected as eQTLs with current limited sample sizes. However, smaller changes in the expression of these genes, through weaker eQTLs or functional variants, are more likely to contribute to medically relevant phenotypes. Therefore, highly constrained genes are dosage-sensitive, expressed more broadly across tissues (as expected for core cellular processes), and are enriched for medically relevant variation. Finally, we investigated how these constraint metrics would stratify mutational classes according to their frequency spectrum, corrected for mutability as in the previous section (Figure 3f). The effect was most dramatic when considering stop-gained variants in the LoF-intolerant set of genes. For missense variants, the missense Z score offers information additional to Polyphen2 and CADD classifications, indicating that gene-level measures of constraint offer additional information to variant-level metrics in assessing potential pathogenicity. We assessed the value of ExAC as a reference dataset for clinical sequencing approaches, which typically prioritize or filter potentially deleterious variants based on functional consequence and allele frequency6. To simulate a Mendelian variant analysis, we filtered variants in 100 ExAC exomes per continental population against ESP (the previous default reference data set for clinical analysis) or the remainder of ExAC, removing variants present at ≥0.1% allele frequency, a filter recommended for dominant 16 disease variant discovery6. Filtering on ExAC reduced the number of candidate protein-altering variants by 7-fold compared to ESP, and was most powerful when the highest 18 allele frequency in any one population (“popmax”) was used rather than average (“global”) allele frequency (Figure 4a). ESP is not well-powered to filter at 0.1% AF without removing many genuinely rare variants, as AF estimates based on low allele counts are both upward-biased and imprecise (Figure 4b). We thus expect that ExAC will provide a very substantial boost in the power and accuracy of variant filtering in Mendelian disease projects. The above curation efforts confirm the importance of allele frequency filtering in analysis of candidate disease variants. However, literature and database errors are prevalent even at lower allele frequencies: the average ExAC exome contains 0.89 reportedly Mendelian variants in well-characterized dominant disease genes at <1% popmax AF and 0.20 at <0.1% popmax AF. This inflation likely results from a combination of false reports of pathogenicity and incomplete penetrance, as we show for PRNP in the accompanying work [Minikel et al, submitted]. The abundance of rare functional variation in many disease genes in ExAC is a reminder that such variants should not be assumed to be causal or highly penetrant without careful segregation or case-control analysis28,7. We investigated the distribution of PTVs, variants predicted to disrupt protein-coding genes through the introduction of a stop codon or frameshift or the disruption of an essential splice site; such variants are expected to be enriched for complete loss-of-function of the impacted genes. Naturally-occurring PTVs in humans provide a model for the functional impact of gene inactivation, and have been used to identify many genes in 6 which LoF causes severe disease31, as well as rare cases where LoF is protective against disease32. Among the 7,404,909 HQ variants in ExAC, we found 179,774 high-confidence PTVs (as 10 defined in Supplementary Information Section 6), 121,309 of which are singletons. This 11 corresponds to an average of 85 heterozygous and 35 homozygous PTVs per individual (Figure 5a). The diverse nature of the cohort enables the discovery of substantial numbers of novel PTVs: out of 58,435 PTVs with an allele count greater than one, 33,625 occur in only one population. However, while PTVs as a category are extremely rare, the majority of the PTVs found in any one person are common, and each individual 16 has only ~2 singleton PTVs, of which 0.14 are found in PTV-constrained genes (pLI 17 >0.9). The site frequency spectrum of these variants across the populations represented in ExAC recapitulates known aspects of demographic models, including an increase in intermediate-frequency (1%-5%) PTVs in Finland33 and relatively common (>0.1%) PTVs in Africans (Figure 5b). The ExAC resource provides the largest database to date for the estimation of allele frequency for protein-coding genetic variants, providing a powerful filter for analysis of candidate pathogenic variants in severe Mendelian diseases. Frequency data from ESP1 have been widely used for this purpose, but those data are limited by population diversity and by resolution at allele frequencies ≤0.1%. ExAC therefore provides 21 substantially improved power for Mendelian analyses, although it is still limited in power at lower allele frequencies, emphasizing the need for more sophisticated pathogenic variant filtering strategies alongside on-going data aggregation efforts. ExAC also highlights an unexpected tolerance of many disease genes to functional variation, and reveals that the literature and public databases contain an inflated number of reportedly pathogenic variants across the frequency spectrum, indicating a need for stringent criteria for assertions of pathogenicity. Finally, we show that different populations confer different advantages in the discovery of gene-disrupting PTVs, providing guidance for projects seeking to identify human “knockouts” to understand gene function. Individuals of African ancestry have more PTVs (140 on average), with this enrichment most pronounced at allele frequencies above 1% (Figure 5b). Finnish individuals, as a result of a population bottleneck, are depleted at the lowest (<0.1%) allele frequencies but have a peak in frequency at 1-5% (Figure 5b). However, these differences are diminished when considering only LoF-constrained (pLI > 0.9) genes (Extended Data Figure 10). Sampling multiple populations would likely be a fruitful strategy for a researcher investigating common PTV variation. However, discovery of homozygous PTVs is markedly enhanced in the South Asia samples, which come primarily from a Pakistani cohort with 38.3% of individuals self- reporting as having closely related parents, emphasizing the extreme value of consanguineous cohorts for “human knockout” discovery (Figure 5d) [Saleheen et al., to 8 be co-submitted]. While the ExAC dataset dramatically exceeds the scale of previously available frequency reference datasets, much remains to be gained by further increases in sample size. Indeed, the fact that even the rarest transversions have mutational rates13 on the order of 1 x 10-9 implies that almost all possible non-lethal SNVs likely exist in some person on Earth. ExAC already includes >70% of all possible protein-coding CpG transitions at well-covered sites; order of magnitude increases in sample size will eventually lead to saturation of other classes of variation. Writer and Reporter: Stephen J. Williams, Ph.D. 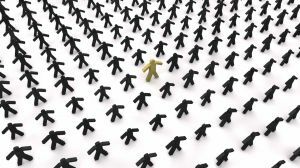 Although many genome-wide-associations studies have found SNPs that have causality to increasing risk diseases such as cancer, diabetes, and heart disease, most individual SNPs for common diseases raise risk by about only 20-40% and would be useless for predicting an individual’s chance they will develop disease and be a candidate for a personalized therapy approach. Therefore, for common diseases, investigators are relying on direct exome sequencing and whole-genome sequencing to detect these medium-rare risk variants, rather than relying on genome-wide association studies (which are usually fine for detecting the higher frequency variants associated with common diseases). “Although GWAs have identified many SNPs associated with common disease, they have as yet had little success in identifying the causative genetic variants. Those that have been identified have only a weak effect on disease risk, and therefore only explain a small proportion of the heritable, genetic component of susceptibility to that disease. This has led to the common disease-common variant hypothesis, which predicts that common disease-causing genetic variants exist in all human populations, but each individual variant will necessarily only have a small effect on disease susceptibility (i.e. a low associated relative risk). Figure from Dr. Moorthie’s article showing the problem of “finding one in many”. Indeed, other examples of such issues concerning gene variant association studies occur with other common diseases such as neurologic diseases and obesity, where it has been difficult to clearly and definitively associate any variant with prediction of risk. For example, Nuytemans et. al. used exome sequencing to find variants in the vascular protein sorting 3J (VPS35) and eukaryotic transcription initiation factor 4 gamma1 (EIF4G1) genes, tow genes causally linked to Parkinson’s Disease (PD). Although they identified novel VPS35 variants none of these variants could be correlated to higher risk of PD. One EIF4G1 variant seemed to be a strong Parkinson’s Disease risk factor however there was “no evidence for an overall contribution of genetic variability in VPS35 or EIF4G1 to PD development”. However there seems to be more luck with strategies focused on analyzing intronic sequence rather than exome sequence. Jocelyn Kaiser’s Science article notes this in a brief interview with Harry Dietz of Johns Hopkins University where he suspects that “much of the missing heritability lies in gene-gene interactions”. Oliver Harismendy and Kelly Frazer and colleagues’ recent publication in Genome Biology http://genomebiology.com/content/11/11/R118 support this notion. The authors used targeted resequencing of two endocannabinoid metabolic enzyme genes (fatty-acid-amide hydrolase (FAAH) and monoglyceride lipase (MGLL) in 147 normal weight and 142 extremely obese patients. These patients were enrolled in the CRESCENDO trial and patients analyzed were of European descent. However, instead of just exome sequencing, the group resequenced exome AND intronic sequence, especially focusing on promoter regions. They identified 1,448 single nucleotide variants but using a statistical filter (called RareCover which is referred to as a collapsing method) they found 4 variants in the promoters and intronic areas of the FAAH and MGLL genes which correlated to body mass index. It should be noted that anandamide, a substrate for FAAH, is elevated in obese patients. The authors did note some issues though mentioning that “some other loci, more weakly or inconsistently associated in the original GWASs, were not replicated in our samples, which is not too surprising given the sample size of our cohort is inadequate to replicate modest associations”. 1. Kaiser J: Human genetics. Genetic influences on disease remain hidden. Science 2012, 338(6110):1016-1017. 2. Tennessen JA, Bigham AW, O’Connor TD, Fu W, Kenny EE, Gravel S, McGee S, Do R, Liu X, Jun G et al: Evolution and functional impact of rare coding variation from deep sequencing of human exomes. Science 2012, 337(6090):64-69. 3. Dickson SP, Wang K, Krantz I, Hakonarson H, Goldstein DB: Rare variants create synthetic genome-wide associations. PLoS biology 2010, 8(1):e1000294. 4. Nuytemans K, Bademci G, Inchausti V, Dressen A, Kinnamon DD, Mehta A, Wang L, Zuchner S, Beecham GW, Martin ER et al: Whole exome sequencing of rare variants in EIF4G1 and VPS35 in Parkinson disease. Neurology 2013, 80(11):982-989. 5. Harismendy O, Bansal V, Bhatia G, Nakano M, Scott M, Wang X, Dib C, Turlotte E, Sipe JC, Murray SS et al: Population sequencing of two endocannabinoid metabolic genes identifies rare and common regulatory variants associated with extreme obesity and metabolite level. Genome biology 2010, 11(11):R118. Cutaneous melanoma is a type of skin cancer that originates in melanocytes, the cells that are producing melanin. While being the least common type of skin cancer, melanoma is the most aggressive one with invasive characteristics and accounts for the majority of death incidences among skin cancers. Melanoma has an annual rate of 160,000 new cases and 48,000 deaths worldwide. Melanoma affects mainly Caucasians exposed to sun high UV irradiation. Among the genetic factors that characterize the disease, BRAF mutation (V600E) is found in most cases of melanoma (80%). Awareness toward risk factors of melanoma should lead to prevention and early detection*. There are several developmental stages (I-IV) of the disease, starting from local non-invasive melanoma, through invasive and high risk melanoma, up to metastatic melanoma. As with other cancers, the earlier stage melanoma is being detected, the better odds for full recovery are. Treatment is usually involving surgery to remove the local tumor and its margins, and when necessary also to remove the proximal lymph node(s) that drain the tumor. In high stages melanoma, adjuvant therapy is given in the form of chemotherapy (Dacarbazine and Temozolomide) and immunotherapy (IL-2 and IFN). Until recently no useful treatment was available for metastatic melanoma. However, research efforts had led to the development of two new drugs against metastatic melanoma: Vemurafenib (Zelboraf), a B-Raf inhibitor; and Ipilimumab (Yervoy), a monoclonal antibody that blocks the inhibitory signal of cytotoxic T lymphocyte-associated antigen 4 (CTLA-4). Both drugs are now available for clinical use presenting good results. In an attempt to develop personalized therapies for malignant melanoma, a unique strategy has been taken by the group of Prof. Yardena Samuels at the NIH (now situated at the WIS) to identify recurring genetic alterations of metastatic cutaneous melanoma. The researchers approach employed the collections of hundreds of tumors samples taken from metastasized melanoma patients together with matched normal blood tissues samples. The samples are undergoing exome sequencing for the analysis of somatic mutations (namely mutations that evolved during the progress of the disease to the stage of metastatic melanoma, unlike genomic mutations that may have contribute to the formation of the disease). The discrimination of such tumor related somatic mutations is done by comparison to the exome sequencing of the patient’s matched blood cells DNA. In addition, the malignant cells derived from the removed cancer tissue of each patient are extracted to form a cell line and are grown in culture. These cells are easily cultivate in culture with no special media supplements, nor further genetic manipulations such as hTERT are needed, and are extremely aggressive as determined by various cell culture and in vivo tests. The ability to grow these primary tumor-derived cell lines in culture has a great value as a tool for studying and characterizing the biochemical, functional, and clinical aspects of the mutated genes identified. In one study  Samuels and her colleagues performed this sequencing process for mutation analysis for the protein tyrosine kinase (PTK) gene family, as PTKs are frequently mutated in cancer. Using high-throughput gene sequencing to analyze the entire PTK gene family, the researchers have identified 30 somatic mutations affecting the kinase domains of 19 PTKs and subsequently evaluated the entire coding regions of the genes encoding these 19 PTKs for somatic mutations in 79 melanoma samples. The most frequent mutations were found in ERBB4, a member of the EGFR/ErbB family of receptor tyrosine kinase (RTK), were 19% of melanoma patients had such mutations. Seven missense mutations in the ERBB4 gene were found to induce increased kinase activity and transformation capability. Melanoma derived cell lines that were expressing these mutant ERBB4 forms had reduced cell growth after silencing ERBB4 by RNAi or after treatment with the ERBB inhibitor Lapatinib. Lapatinib is already in use in the clinic for the treatment of HER2 (ErbB2) positive breast cancers patients. Following this study, a clinical trial is now conducted with this drug to evaluate its effect in cutaneous metastatic melanoma patients harboring mutations in ERBB4. In another study of this group , the scientists employed the exome sequencing method to analyze the somatic mutations of 734 G protein coupled receptors (GPCRs) in melanoma. GPCRs are regulating various signaling pathways including those that affect cell growth and play also important role in human diseases. This screen revealed that GRM3 gene that encode the metabotropic glutamate receptor 3 (mGluR3), was frequently mutated and that one of its mutations clustered within one position. Mutant GRM3 was found to selectively regulate the phosphorylation of MEK1 leading to increased anchorage-independent cell growth and cellular migration. Tumor derived melanoma cells expressing mutant GRM3 exhibited reduced cell growth and migration upon knockdown of GRM3 by RNAi or by treatment with the selective MEK inhibitor, Selumetinib (AZD-6244), a drug that is being testing in clinical trials. Altogether, the results of this study point to the increased violent characteristics of melanomas bearing mutational GRM3. In a third study, melanoma samples were examined for somatic mutations in 19 human genes that encode ADAMTS proteins . Some of the ADAMTS genes have been suggested before to have implication in tumorigenesis. ADAMTS18, which was previously found to be a candidate cancer gene, was found in this study to be highly mutated in melanoma. ADAMTS18 mutations were biologically examined and were found to induce an increased proliferation of melanoma cells, as well as increased cell migration and metastasis. Moreover, melanoma cells expressing these mutated ADAMTS18 had reduced cell migration after RNAi-mediated knockdown of ADAMTS18. Thus, these results suggest that genetic alteration of ADAMTS18 plays a major role in melanoma tumorigenesis. Since ADAMTS genes encode extracellular proteins, their accessibility to systematically delivered drugs makes them excellent therapeutic targets. The above illustrated research approach intends to discover frequent melanoma-specific mutations by employing high-throughput whole exome and genome sequencing means. For the most highly mutated genes identified, the biochemical, functional, and clinical aspects are being characterized to examine their relevancy to the disease outcomes. This approach therefore introduces new opportunities for clinical intervention for the treatment of cutaneous melanoma. In addition to the discovery of novel highly mutated genes, this approach may also help determine which pathways are altered in melanoma and how these genes and pathways interact. Finding melanoma-associated highly mutated genes could lead to personalized therapeutics specifically targeting these altered genes in individual melanomas. Along with the opportunity to develop new agents to treat melanoma, the approach takes advantage of existing anti-cancer drugs, utilizing them to treat these mutated genes melanoma individuals. In addition to their potential for therapeutics, the discovery of highly mutated genes in melanoma patients may lead to the discovery of new markers that may assist the diagnosis of the disease. The implications of these screenings findings on other types of cancer bearing common pathways similar to melanoma should be examined as well. Finally, this elegant approach should be adopted in research efforts of other cancer types. 1. In focus: Melanoma Genetics. Curator: Ritu Saxena, Ph.D.
2. In focus: Melanoma therapeutics. Author and Curator: Ritu Saxena, Ph.D.
3. A New Therapy for Melanoma. Reporter- Larry H Bernstein, M.D. 4. Thymosin alpha1 and melanoma. Author, Editor: Tilda Barliya, Ph.D.
5. Exome sequencing of serous endometrial tumors shows recurrent somatic mutations in chromatin-remodeling and ubiquitin ligase complex genes. Reporter and Curator: Dr. Sudipta Saha, Ph.D.
6. How Genome Sequencing is Revolutionizing Clinical Diagnostics. Reporter: Aviva Lev-Ari, PhD, RN. 7. Issues in Personalized Medicine in Cancer: Intratumor Heterogeneity and Branched Evolution Revealed by Multiregion Sequencing. Curator and Reporter: Stephen J. Williams, Ph.D.
Curator and Reporter: Stephen J. Williams, Ph.D.
Genomic instability is considered a hallmark and necessary for generating the mutations which drive tumorigenesis. Multiple studies had suggested that there may be multiple driver mutations and a plethora of passenger mutations driving a single tumor. This diversity of mutational spectrum is even noticed in cultured tumor cells (refer to earlier post Genome-Wide Detection of Single-Nucleotide and Copy-Number Variation of a Single Human Cell). Certainly, intratumor heterogeneity has been a concern to clinicians in determining the proper personalized therapy for a given cancer patient, and has been debated if multiple biopsies of a tumor is required to acquire a more complete picture of a tumor’s mutations. In the New England Journal of Medicine, lead author Dr. Marco Gerlinger in the laboratory of Dr. Charles Swanton of the Cancer Research UK London Research Institute, and colleagues reported the results of a study to determine if intratumoral differences exist in the mutational spectrum of primary and metastatic renal carcinomas, pre- and post-treatment with the mTOR (mammalian target of rapamycin) inhibitor, everolimus (Afinitor®). The authors compared exome sequencing of multiregion biopsies from four patients with metastatic renal-cell carcinoma who had been enrolled in the Personalized RNA Interference to Enhance the Delivery of Individualized Cytotoxic and Targeted Therapeutics clinical trial of everolimus (E-PREDICT) before and after cytoreductive surgery. A phylogenetic reconstruction of all somatic mutations occurring in primary disease and associated metastases was performed to determine the clonal evolution of the metastatic disease given the underlying heterogeneity of the tumor. Basically the authors wanted to know if the mutational spectra of one metastasis could be found in biopsies taken from the underlying primary tumor or if the mutational landscape of metastases had drastically changed. The authors mapped these mutations out with respect to their location, in order to determine how the metastatic lesions evolved from the primary tumor, given the massive heterogeneity in the primary tumor. Construction of this “phylogenetic tree” (see Merlo et. al) showed that the disease evolves in a branched not linear pattern, with one branch of clones evolving into a metastatic disease while another branch of clones and mutations evolve into the primary disease. One of the major themes of the study is shown by results that an average of 70 somatic mutations were found in a single biopsy (a little more than just half of all tumor mutations) yet only 34% of the mutations in multiregion biopsies were detected in all tumor regions. This indicated to the authors that “a single biopsy was not representative of the mutational landscape of the entire bulk tumor”. In addition, microarray studies concluded that gene-expression signatures from a single biopsy would not be able to predict outcome. Everolimus therapy did not change the mutational landscape. Interestingly, allelic composition and ploidy analyses revealed an extensive intratumor heterogeneity, with ploidy heterogeneity in two of four tumors and 26 of 30 tumor samples containing divergent allelic-imbalances. This strengthens the notion that multiple clones with diverse genomic instability exist in various regions of the tumor. Only VHL mutations were found in all regions of a given tumor, however there were three distinct SETD2 mutations (frameshift, splice site, missense) which were located in different regions of the tumor. SETD2 trimethylates histones at various lysine residues, such as lysine residue 36 (H3K36). The trimethylation of H3K36 is found on many actively transcribed genes. Immunohistochemistry showed trimethylated H3K36 was reduced in cancer cells but positive in most stromal cells and in SETD2 wild-type clear-cell carcinomas. Interestingly most regions of the primary tumor, except one, contained a kinase-domain activating mutation in mTOR. Immunohistochemistry analysis of downstream target genes of mTOR revealed that mTOR activity was enhanced in regions containing this mutation. Therefore the intratumoral heterogeneity corresponded to therapeutic activity, leading to the impression that a single biopsy may result in inappropriate targeted therapy. Additional downstream biomarkers of activity confirmed both the intratumoral heterogeneity of mutational spectrum as well as an intratumoral heterogeneity of therapeutic-target function. The authors conclude that “intratumor heterogeneity can lead to underestimation of the tumor genomics landscape from single tumor biopsies and may present major challenges to personalized-medicine and biomarker development”. In an informal interview with Dr. Swanton, he had stressed the importance of performing these multi-region biopsies and the complications that intratumoral heterogeneity would present for personalized medicine, biomarker development, and chemotherapy resistance. Q: Your data clearly demonstrates that multiple biopsies must be done to get a more complete picture of the tumor’s mutational landscape. In your study, what percentage of the tumor would be represented by the biopsies you had performed? Q: You have very nice data which suggest that genetic intratumor heterogeneity complicates the tumor biomarker field? do you feel then that quests for prognostic biomarkers may be impossible to attain? Q: Were you able to establish the degree of genomic instability among the various biopsies? Q: I was actually amazed that there was a heterogeneity of mTOR mutations and SETD2 after everolimus therapy? Is it possible these clones obtained a growth advantage? 1. Gerlinger M, Rowan AJ, Horswell S, Larkin J, Endesfelder D, Gronroos E, Martinez P, Matthews N, Stewart A, Tarpey P et al: Intratumor heterogeneity and branched evolution revealed by multiregion sequencing. The New England journal of medicine 2012, 366(10):883-892. 2. Merlo LM, Pepper JW, Reid BJ, Maley CC: Cancer as an evolutionary and ecological process. Nature reviews Cancer 2006, 6(12):924-935. 3. Varela I, Tarpey P, Raine K, Huang D, Ong CK, Stephens P, Davies H, Jones D, Lin ML, Teague J et al: Exome sequencing identifies frequent mutation of the SWI/SNF complex gene PBRM1 in renal carcinoma. Nature 2011, 469(7331):539-542. 4. Dalgliesh GL, Furge K, Greenman C, Chen L, Bignell G, Butler A, Davies H, Edkins S, Hardy C, Latimer C et al: Systematic sequencing of renal carcinoma reveals inactivation of histone modifying genes. Nature 2010, 463(7279):360-363.
Who Should Have Access to Genetic Information? What do you think about these issues before reading this piece? The 62nd annual meeting of the American Society of Human Genetics (ASHG), which was held in San Francisco, California, in November 2012, featured a diverse array of research in basic, clinical, and population science contributed by human geneticists across the globe. consists of all protein-coding regions in the human genome. 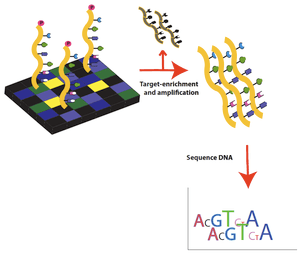 the development of sequencing technology and on applications of this technology for research. what to do with the resulting information, in both research and clinical settings. the potential impacts of different testing techniques. were joined by molecular biologist Gert Matthijs from the Center for Human Genetics in Belgium in sharing their perspectives on this topic. contesting the company’s patent of the BRCA1 and BRCA2 genes for hereditary breast and ovarian cancer. that gene patents hinder the pursuit of confirmatory tests and limit the testing options available to women. Endometrial cancer is the sixth most commonly diagnosed cancer in women worldwide, causing ~74,000 deaths annually. Serous endometrial cancers are a clinically aggressive subtype with a poorly defined genetic etiology2–4. Whole-exome sequencing was used to comprehensively search for somatic mutations within ~22,000 protein-encoding genes in 13 primary serous endometrial tumors. Subsequently 18 genes were resequenced, which were mutated in more than 1 tumor and/or were components of an enriched functional grouping, from 40 additional serous tumors. The study provides new insights into the somatic mutations present in serous endometrial cancer exomes. However, it is important that the discovery screen is underpowered to detect all somatically mutated genes that drive serous tumors. For example, PIK3R1, which was previously found to be somatically mutated in 8% of serous endometrial tumors, was not somatically mutated in the tumors that formed the discovery screen. It was estimated that, for genes that are mutated in 8% of all serous endometrial cancers, a discovery screen of 12 tumors has 25% power to detect 2 mutated tumors and 63% power to detect 1 mutated tumor; for genes that are mutated in 20% of all serous endometrial cancers, the discovery screen had an estimated 72.5% power to detect 2 mutated tumors and 93% power to detect 1 mutated tumor. Massively parallel sequencing of additional cases will undoubtedly yield deeper insights into the mutational landscape of serous endometrial cancer. Thus, it was reported as one of the first exome sequencing analyses of serous endometrial cancers, which are clinically aggressive tumors that have been poorly characterized genomically. These findings implicate the disruption of chromatin-remodeling and ubiquitin ligase complex genes in 50% of serous endometrial tumors and 35% of clear-cell endometrial tumors. High frequencies of somatic mutations in CHD4 (17%), EP300 (8%), ARID1A (6%), TSPYL2 (6%), FBXW7 (29%), SPOP (8%), MAP3K4 (6%) and ABCC9 (6%) were identified. The high frequency and specific distributions of mutations in CHD4, FBXW7 and SPOP strongly suggest that these are likely to be driver events in serous endometrial cancer. Overall, 36.5% of serous tumors had a mutated chromatin-remodeling gene, and 35% had a mutated ubiquitin ligase complex gene, implicating frequent mutational disruption of these processes in the molecular pathogenesis of one of the deadliest forms of endometrial cancer. Endometrial cancer is the sixth most commonly diagnosed cancer in women worldwide, causing ~74,000 deaths annually1. Serous endometrial cancers are a clinically aggressive subtype with a poorly defined genetic etiology2–4. Whole-exome sequencing was used to comprehensively search for somatic mutations within ~22,000 protein-encoding genes in 1 13 primary serous endometrial tumors. Subsequently 18 genes were resequenced, which were mutated in more than 1 1 1 tumor and/or were components of an enriched functional grouping, from 40 additional serous tumors. High frequencies of somatic mutations in CHD4 (17%), EP300 (8%), ARID1A (6%), TSPYL2 (6%), FBXW7 (29%), SPOP (8%), MAP3K4 (6%) and ABCC9 (6%) were identified. Overall, 36.5% of serous tumors had a mutated chromatin-remodeling gene, and 35% had a mutated ubiquitin ligase complex gene, implicating frequent mutational disruption of these processes in the molecular pathogenesis of one of the deadliest forms of endometrial cancer. The study provides new insights into the somatic mutations present in serous endometrial cancer exomes. However, it is important to acknowledge that this discovery screen is underpowered to detect all somatically mutated genes that drive serous tumors. For example, PIK3R1, which was previously found to be somatically mutated in 8% of serous endometrial tumors58, was not somatically mutated in the tumors that formed this discovery screen. It was estimated that, for genes that are mutated in 8% of all serous endometrial cancers, a discovery screen of 12 tumors has 25% power to detect 2 mutated tumors and 63% power to detect 1 mutated tumor; for genes that are mutated in 20% of all serous endometrial cancers, the discovery screen had an estimated 72.5% power to detect 2 mutated tumors and 93% power to detect 1 mutated tumor. Massively parallel sequencing of additional cases will undoubtedly yield deeper insights into the mutational landscape of serous endometrial cancer. Here, it was reported one of the first exome sequencing analyses of serous endometrial cancers, which are clinically aggressive tumors that have been poorly characterized genomically. 35% of clear-cell endometrial tumors. The high frequency and specific distributions of mutations in CHD4, FBXW7 and SPOP strongly suggest that these are likely to be driver events in serous endometrial cancer.